How to instantly make a person feel rather old?! Tell them that it’s “X amount of years” since one of their favourite childhood films was released! 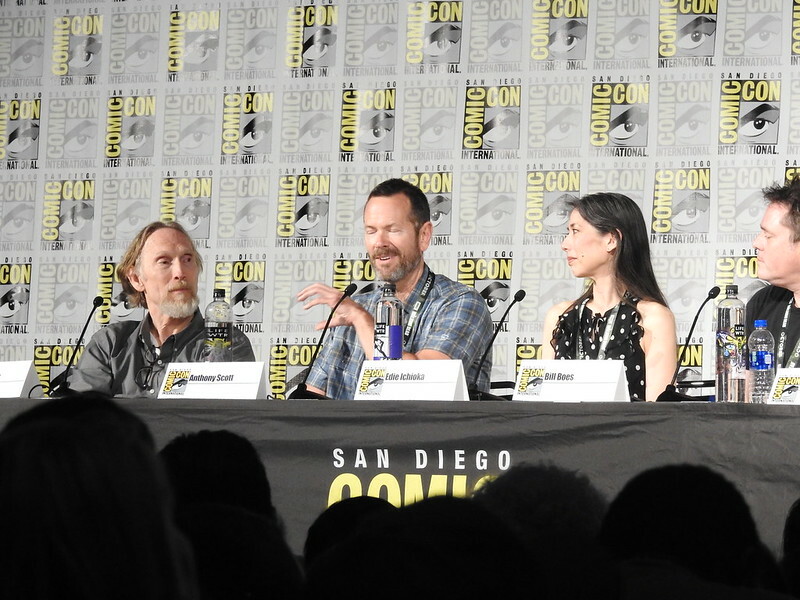 That’s exactly what The Official Disney Fan Club D23 did when they presented a panel to celebrate Twenty Five Years of Tim Burton’s The Nightmare Before Christmas at this years San Diego Comic-Con. Held at 7.45pm on the Saturday of the convention, in the relatively small Room 6BCF, I felt this was – for me – the single best panel of the entire show. Sadly, TNBC‘s creator and executive producer Tim Burton did not make an appearance! 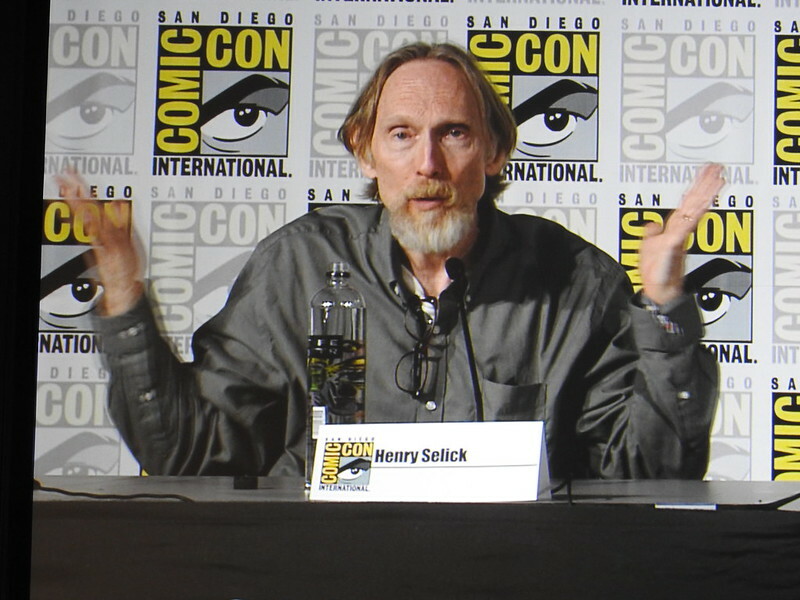 However, those that were – Henry Selick (Director), Anthony Scott (Animator), Edie Ichioka (Editor), Kelly Asbury and Bill Boes (Assistant Art Directors) – had more than enough to talk about. 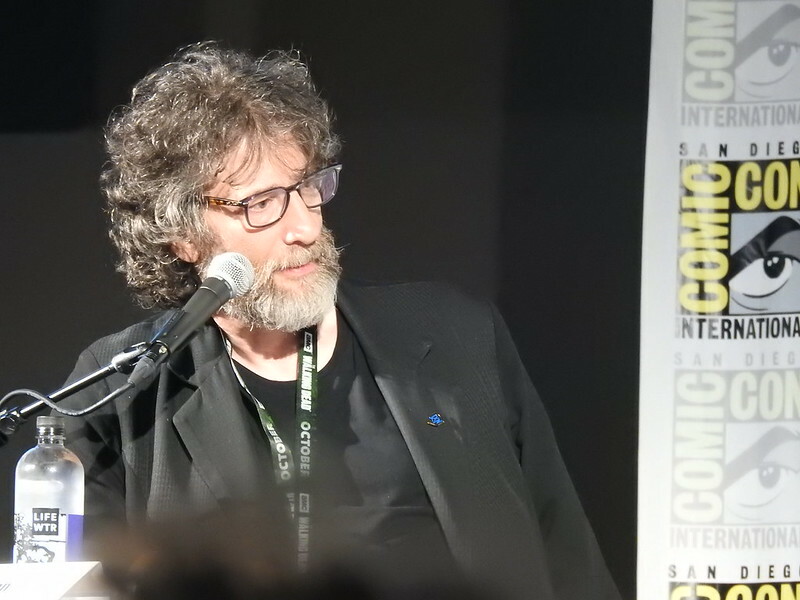 And, as a surprise cherry on top of the cake, the panel was moderated by CORALINE creator NEIL GAIMAN. 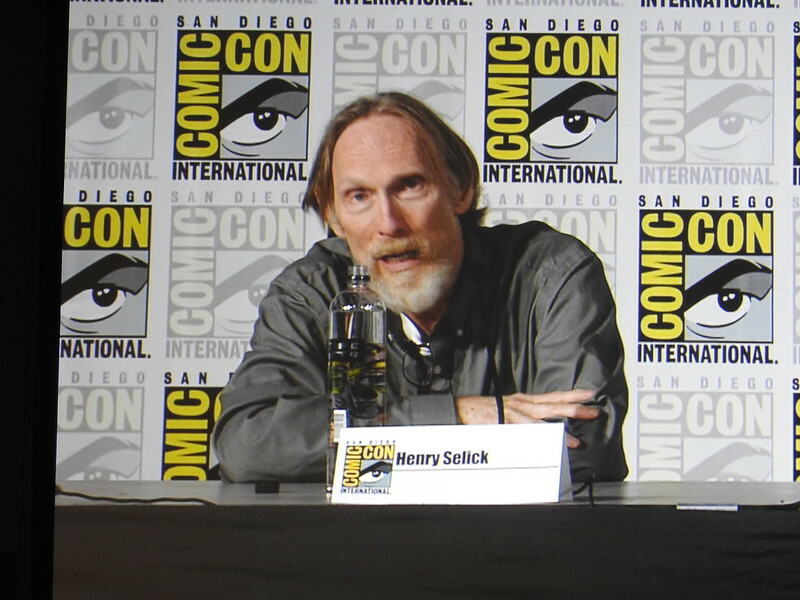 Selick spoke about how he became friends with Burton and several other animators/directors while at Disney. At that time, Disney were not doing particularly well with their animated movies and were almost on their knees. Selick and Burton formed a bond that would last decades and also see them work together on a stop-motion animation that would change many people’s lives. Asbury was also at Disney during that time and he felt it was like a college campus that was slowly folding into nothing. 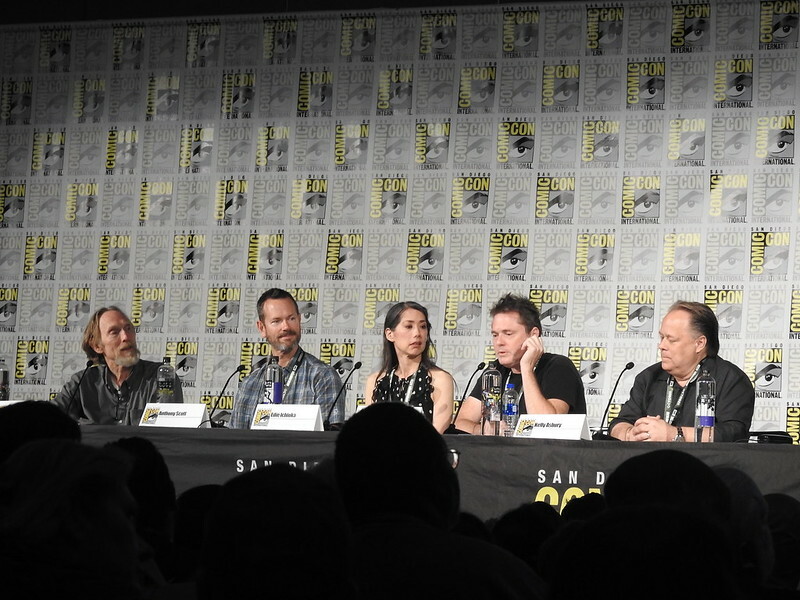 When Asbury heard about THE NIGHTMARE BEFORE CHRISTMAS being put into production, he begged to be part of it but there was a sense from Selick that he was too “classic Disney” to work on the film. Thankfully, Selick and Burton brought him onto the project. Selick spoke about the initial figures. It was was Burton who drew the characters and then it was left to sculpture desgner Rick Heinrichs to sculpt them from clay. Asbury chimed in that they had to make the film as close to Burton’s designs as possible but he was having trouble breaking free of the classic Disney style that he had been so accustomed to. Selick suggested that Asbury draw with his left hand instead of his right, and it worked because it forced Asbury to not have the control he was used to with his right hand. From then he started to find the Tim Burton skew needed for the art work. 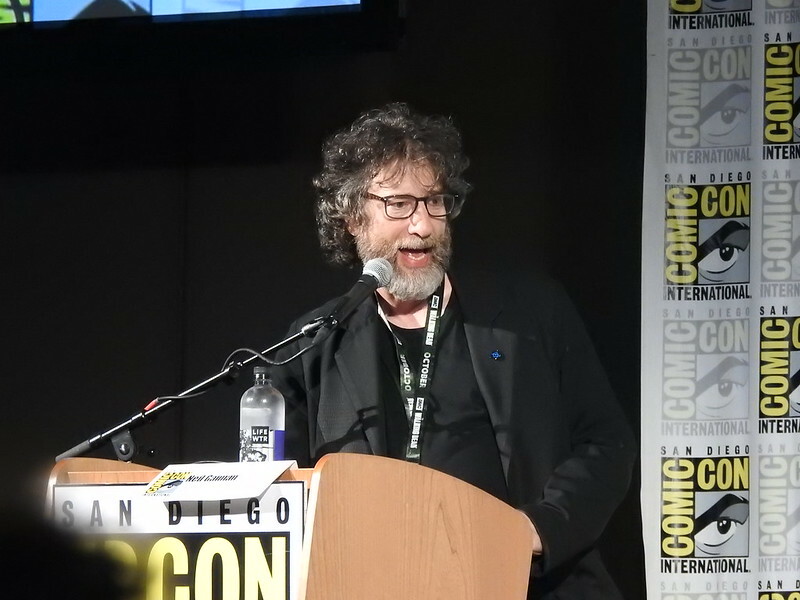 Gaiman questioned Selick on where the initial idea came from: Selick remembers that, back in the 1980s, Burton had written a poem that featured Jack Skellington, Zero and Sandy Claws. Burton then worked with BEETLEJUICE writer Michael McDowell to come up with a scripted story. Sadly, McDowell was ill at the time and couldn’t help too much but wrote enough to allow Burton flesh out the bigger story. Burton then teamed up with composer Danny Elfman and, together, they started to formulate the songs that would be in the film and tell the story of Jack Skellington. Incredibly, the film was signed off by Disney before they even had the full story complete; it was then left to Burton and Selick to figure out the rest. Animator Anthony Scott talked about how the animation department would run through the entire scene, frame by frame, before actually filming it so they could plot out the course for the figures. They would then have to reset everything and go “as live” with the cameras rolling. The advantage they had was that they could watch the performance as they filmed it. Selick and Burton filmed it as live. But, by the end, Burton said that maybe they should cut one or two songs – it was one of the few times Selick got mad at him. He explained that cutting a song or two would be like losing an arm or a leg or even a soul when it came to creating the film. Selick story-boarded the entire sequence where Jack is shot down as he flies through the air dressed as Santa Claus. The Jack figure they had built was more of a white figure than what they had previously used. 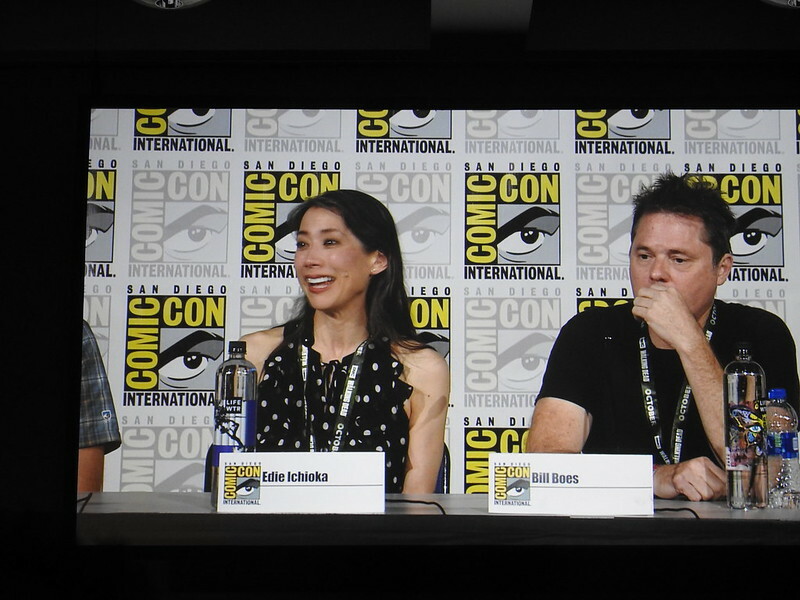 Editor Edie Ichioka said that there were ninety-nine digital shots in the film, which is very low by modern standards. When they sent the frames off to the external lab to have the additional special effects put in it was a bit of a crap-shoot as to if it came back right. She also said that the amount of resources were fairly limited so its amazing the results came out as wonderful as they did. 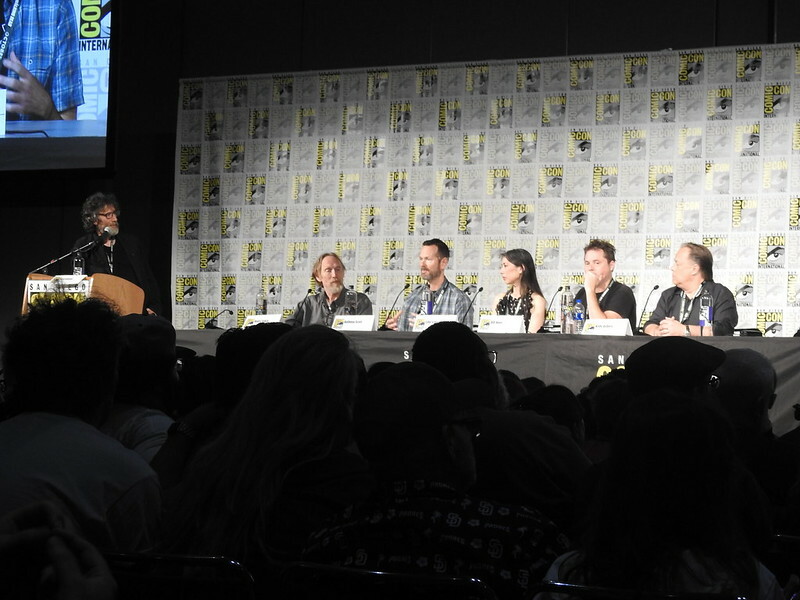 Asbury explained that the initial idea for the opening title sequence would have lightning bolts flash on the screen and the wording would then appear. Large sheets of black card had corn stuck to them with the wording for each title card. Selick interjected to say that him and Asbury ended up eating a lot of corn before it could be stuck on the cards! The Nightmare Before Christmas will be part of D23’s Fanniversary in the Fall.